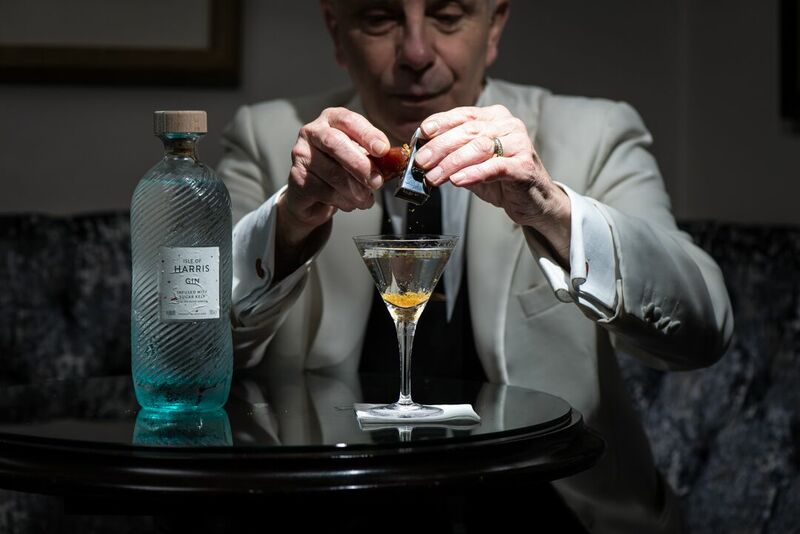 From the legendary Alessandro Palazzi, the Martini maestro of Mayfair, to bartenders from Glasgow and Aberdeen, some of the best bartenders in the UK celebrates the iconic gin martini cocktail. Three recipes created for a lovely Isle of Harris Gin project for #WorldGinDay are showcased below. These were selected from a total of seven created for the project, as with a little sourcing of ingredients you can serve them up at home, perhaps you know a special occasion coming up…something ginny? Each bartender also explains their inspiration behind their Martini ‘twists’. 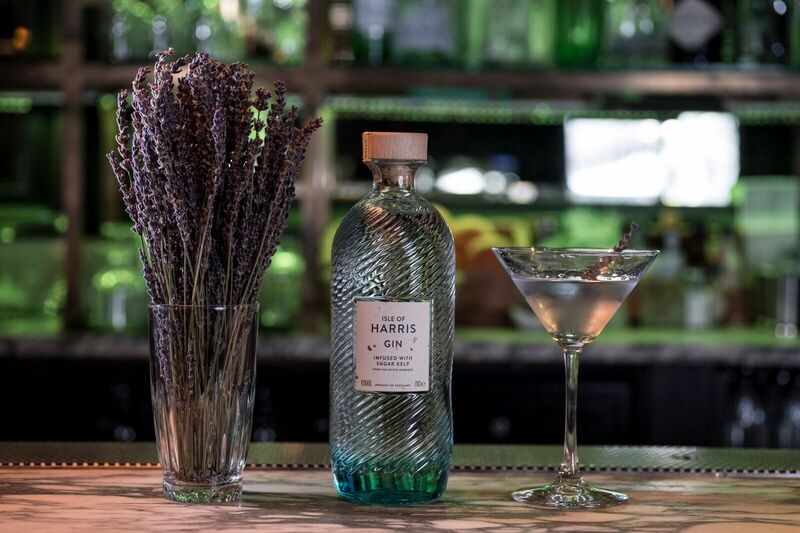 The recipes are unique and very different from one another, showcasing a different approach to working with a complex, and interesting gin like Isle of Harris gin which features savoury, floral and herbal notes alongside classic gin flavours due to a unique combination of botanicals inspired by their home in the very north of Scotland. Take some inspiration for your Martini serves for Saturday 9 June? "It’s evocative of sky, land and sea, as the sun is setting on the day." Place bottle of Isle of Harris Gin in freezer until ice cold. Place a large block of ice into a mixing glass. Add the gin, Vermut, aromatic water and thyme to the mixing glass. Stir with a bar spoon for 2-3 minutes. Strain slowly into a chilled coupe glass. Squeeze a fresh twist of pink grapefruit over the drink and place into the glass. Tie or clip a stem of fresh thyme onto the stem or rim of the glass to add a final, fragrant herbal aroma. 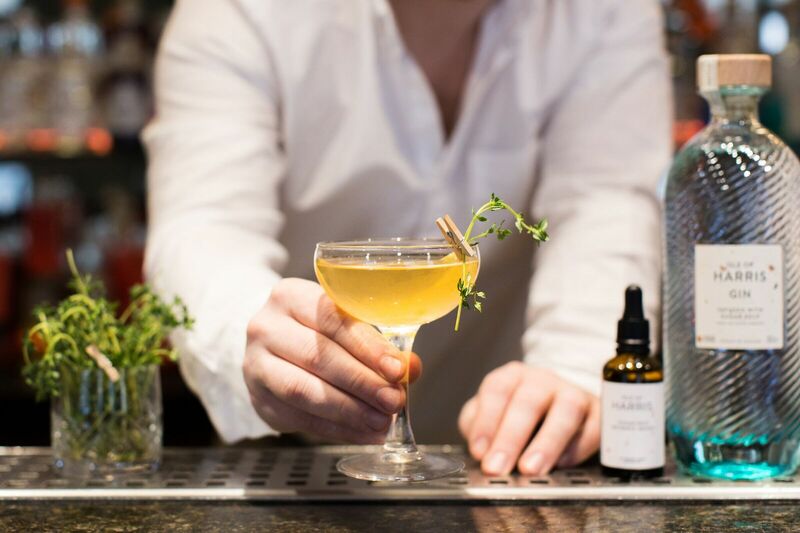 "Garnished with a lavender flower, this is a really delicate twist on a Martini." Anastasia Mourgela, The 158 Club Lounge, Glasgow. Chill a Martini glass with crushed ice. Pour the dry vermouth over the crushed ice. In a chilled mixing glass, add 3 lavender flowers, Isle of Harris Gin and the Creme de Violette. Add cubed ice to the mixing glass and stir with a bar spoon for precisely 45 seconds to achieve the desirable dilution. Discard crushed ice and vermouth from the Martini glass. Double strain contents of the mixing glass into the vermouth washed Martini glass. Garnish with a dried lavender flower.